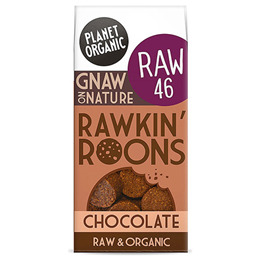 Packed with raw goodness, these melt-in-the mouth chocolate macaroons will get your taste buds rawkin’. Low GI, unrefined coconut sugar is used to stop your blood sugar levels from swingin’. Dip in tea, dunk in raw nut butter, eat like a cookie monster. How many can you fit in your mouth at once? Desiccated Coconut (46.41%), Coconut Sugar* (17.42%), Water, Extra Virgin Coconut Oil*, Almonds*, Cacao Powder (6.97%), Himalayan Pink Salt* (0.19%). 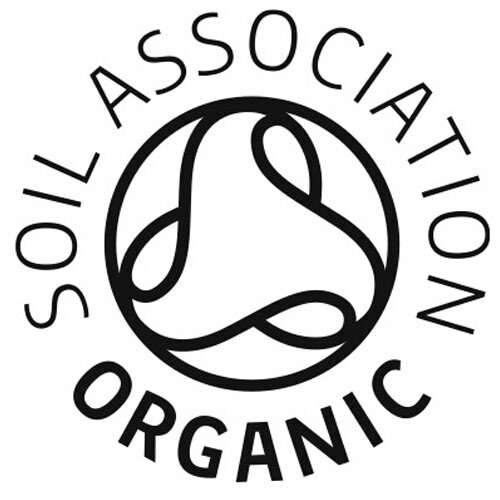 Produced in a facility that processes tree nuts, soya, sesame seed, celery, mustard. 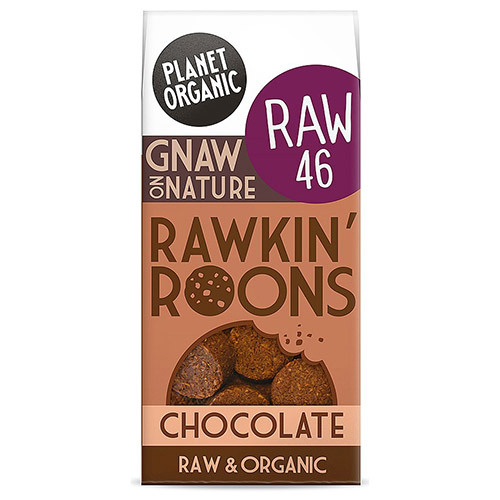 Below are reviews of Planet Organic Chocolate Rawkin` Roons - 90g by bodykind customers. If you have tried this product we'd love to hear what you think so please leave a review.